You may be thinking, Pray for Paris is a perfectly kind and compassionate phrase of support, and it is, but did you ever stop to seriously think about it? 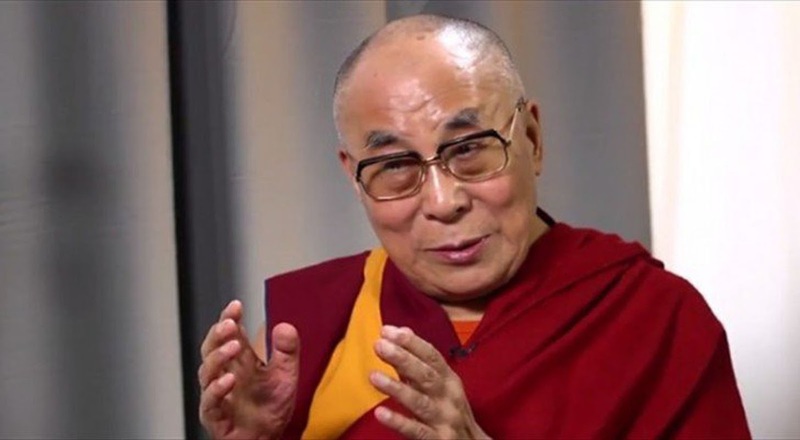 The Dalai Lama did and had some sensible advice for people, imploring them to not pray for Paris, but work for peace. He told this to German broadcaster Deutsche Welle in a recent interview. Besides the play on words…pray for Paris asks God to fix a problem humans created. I guess it’s the truthfulness of his words that resonates with me. For millions of people around the world the Dalai Lama is the embodiment of humanity and compassion, and in his eyes, the middle-way is the best way to approach peace. Not just superficial peace, but a systemic peace on a personal level. Peace with oneself, peace with your ancestry, peace with nature, peace with this moment… It all comes back to the individual and first being the embodiment of that which you want to see out in the world. We are at a critical time, Putin began revealing at a recent G20 summit which 40 countries are supporting ISIS. We know the United States is one of them. We know the mainstream media is operating on behalf of political and corporate agendas, which is the same way politics operates, and so we aren’t going to hearthe full story. At the end of the day, we are seeing incredible times that call for incredible levels of observation. If we want to change the way our world is unfolding, we have to do it at MUCH more than an emotional level. We need to begin to shift our consciousness. This is part of why alternative news is important. We begin to see other perspectives, other angles, what is actually going on. Lifting that veil helps people to see that we’re being ‘taken’ in a number of ways and it’s time we snap out of it. The clearer we can see things and the more we demand a change in the way things are done from a different perspective, the easier it will be to make these shifts globally. If we follow the tone of the media and begin hating, attacking and dividing people even more, we’re going to be left with an even bigger problem. This is an important time to start looking at why things like this keep happening and how we react to it each time. We all know terror is bad and nobody likes to see that, but we must also continue to centre ourselves in love and solid conscious solutions to bring about change. If Jihadi’s state that they love death more than we love life, then maybe they are playing the role of encouraging us to love life. If we can continue to find the love even in these tough times and stop putting so much attention and power towards the political agendas at play here, by seeing through them, then we will help in stopping to fuel this whole game. This doesn’t mean sit back and pray, it means changing your conversations, changing the way you see things, taking actions that are more of service to others, working on your own personal growth and truly stepping into loving life!